Relieve the fuel pressure. Refer to Fuel Pressure Relief. Drain the fuel Tank. Refer to Fuel Tank Draining. Remove the harness cover fastener (1) and harness cover (2). 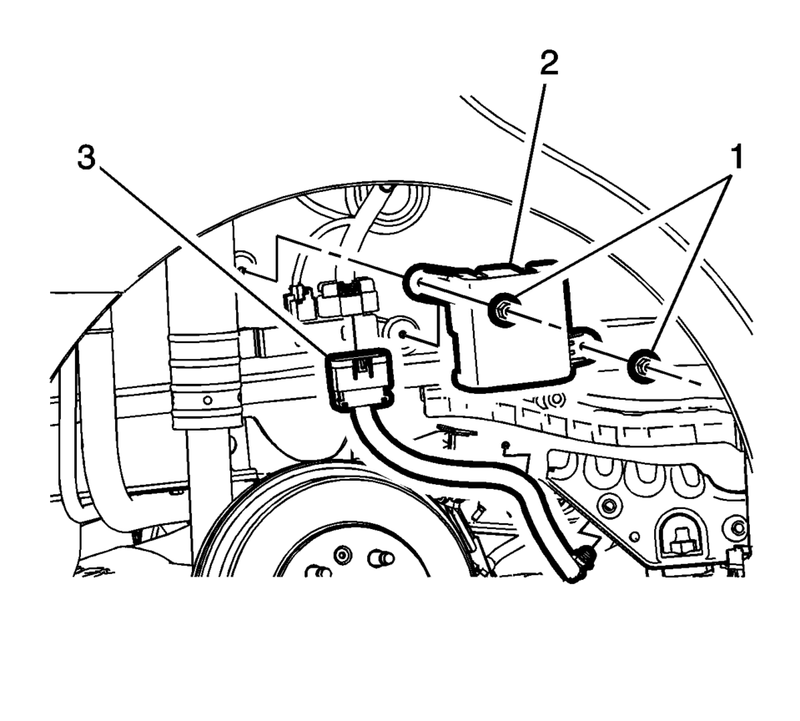 Disconnect the fuel pump harness electrical connector (3). Loosen the hose clamps (2) and slide the filler hose off the fuel tank. 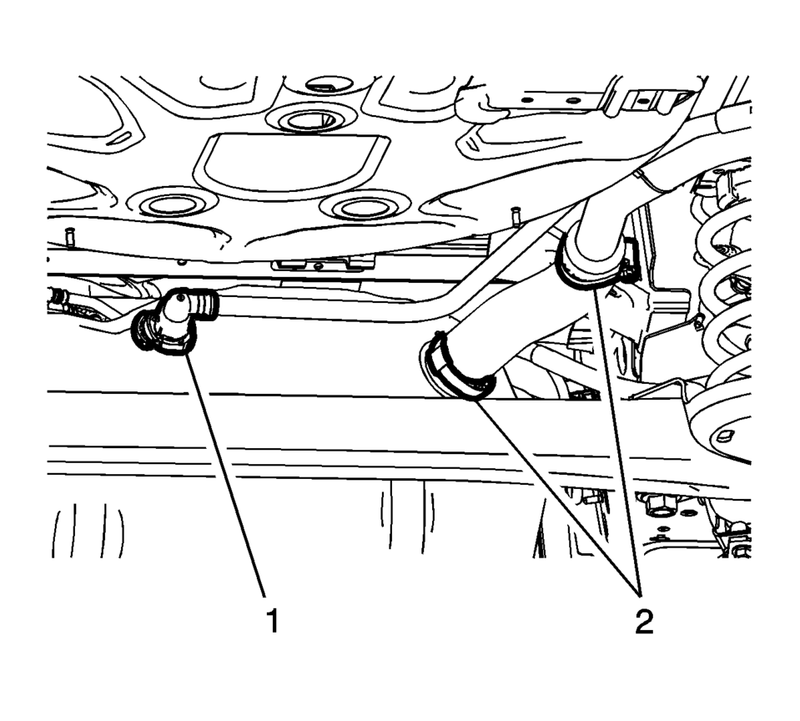 Disconnect the fuel and evaporative emission connectors (1). Refer to Plastic Collar Quick Connect Fitting Service. Support the fuel tank with a suitable stand. Remove the fuel tank strap fasteners (1). 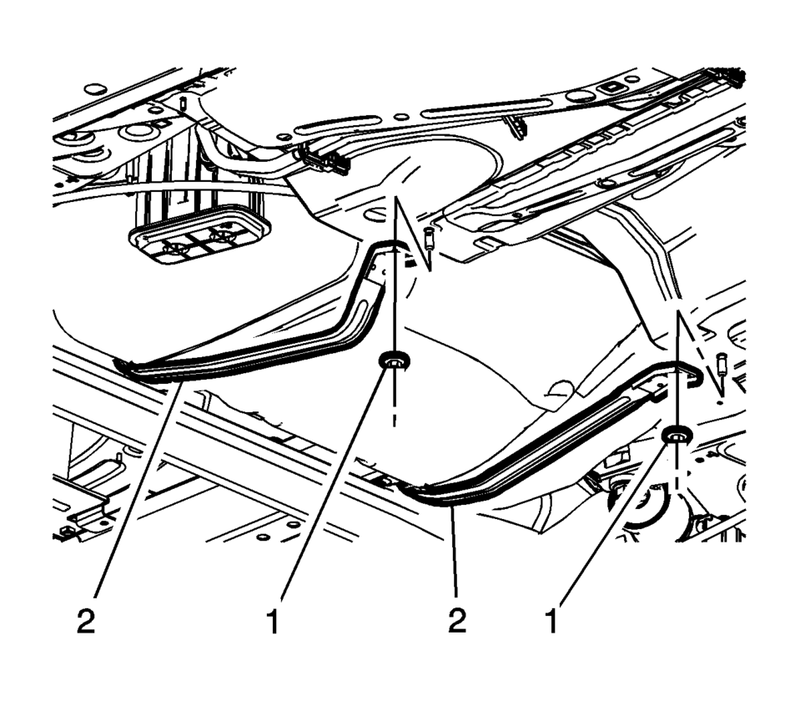 Reposition the fuel tank straps (2) toward the back of the vehicle. Lower the fuel tank (1). 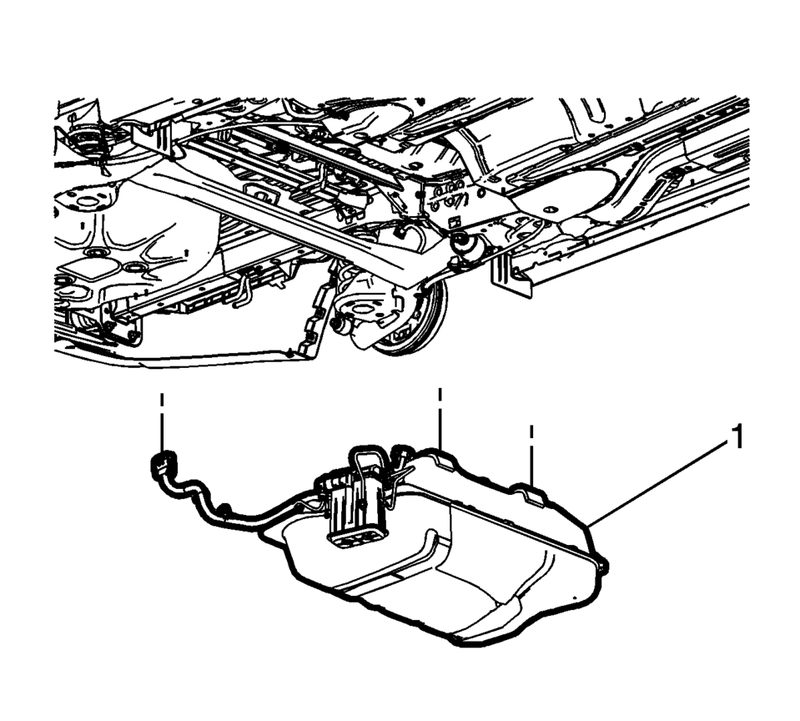 If replacing the tank, remove the fuel pump module and the evaporative emission canister. 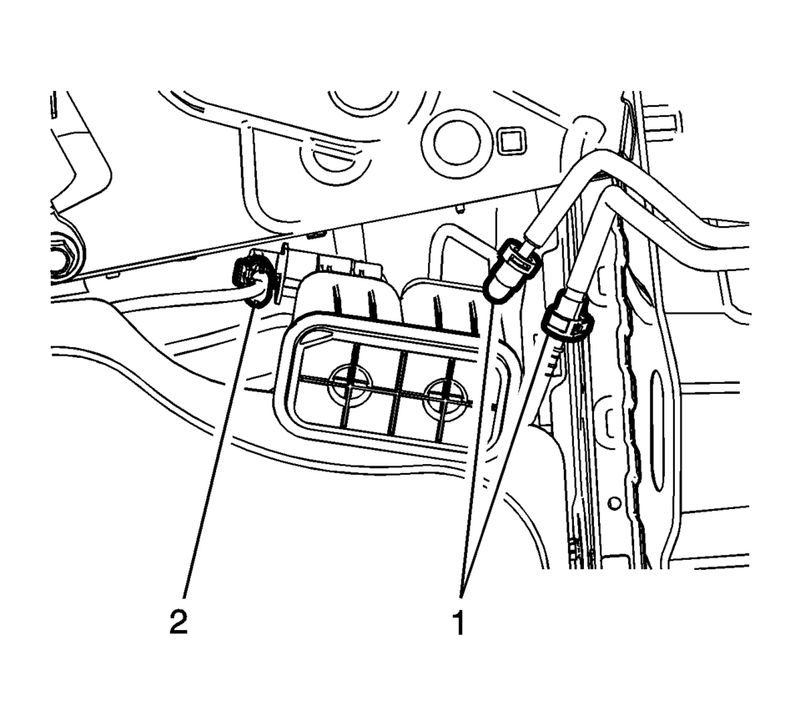 Refer to Fuel Tank Fuel Pump Module Replacement and Evaporative Emission Canister Replacement. Raise the fuel tank (1). Position the fuel tank straps (2) onto the fuel tank. Connect the fuel and evaporative emission connectors (1). Refer to Plastic Collar Quick Connect Fitting Service. Connect the vent hose (1) . Tighten the hose clamps (2) to 4.5 Y(40 lb in). and slide the filler hose off the fuel tank. Connect the fuel pump harness electrical connector (3). Install the harness cover (2) and tighten the cover fasteners (1).